The project comprised the construction of a luxury apartment complex. This incorporated a basement for residential parking. Dew piling were instructed to design and install a permanent sheet piled basement working in cantilever, in order to eliminate any requirement for temporary propping during construction. In addition the design needed to allow for the vertical loads imposed by the structure. Phase 1 involved installation of approximately three quarters of the sheet piles using a 14m ABI rig, with the piles being up to a maximum length of 16m. 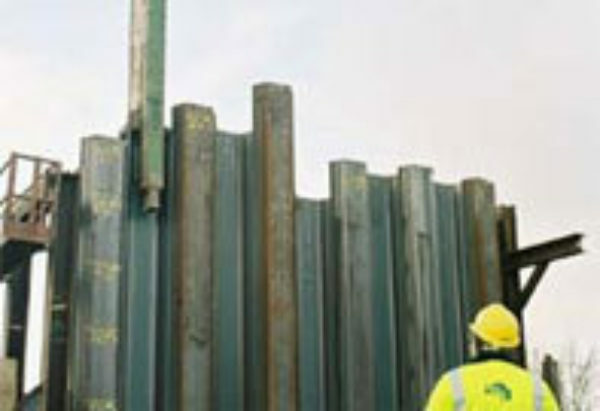 Phase 2 was the installation of the remaining piles in order to close off the basement using conventional piling techniques with the maximum length of the piles being 25m. Where required the piles were backdriven to a set using a BPH 2400 impact hammer in order to achieve the design toe level.